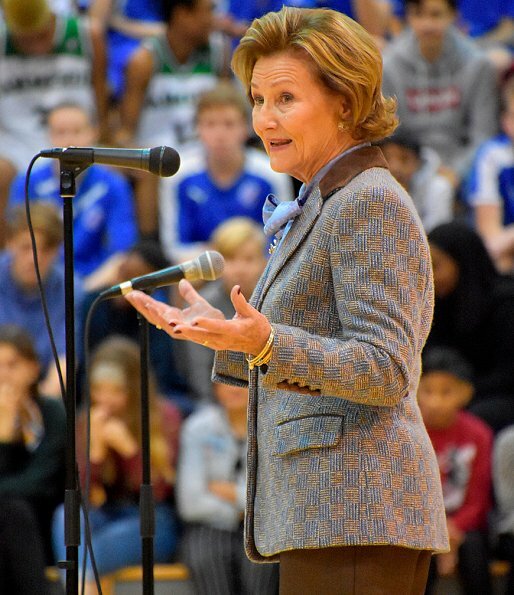 On December 3, 2018, Norwegian Queen Sonja presented "Queen Sonja’s School Award 2018". 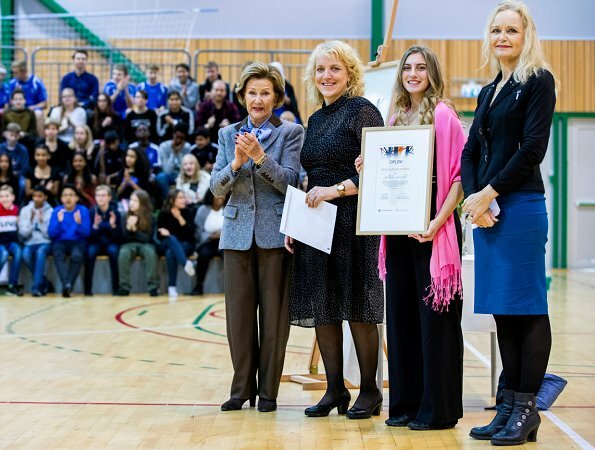 Apalløkka School located in Grorud district of Oslo became this year's awardee. 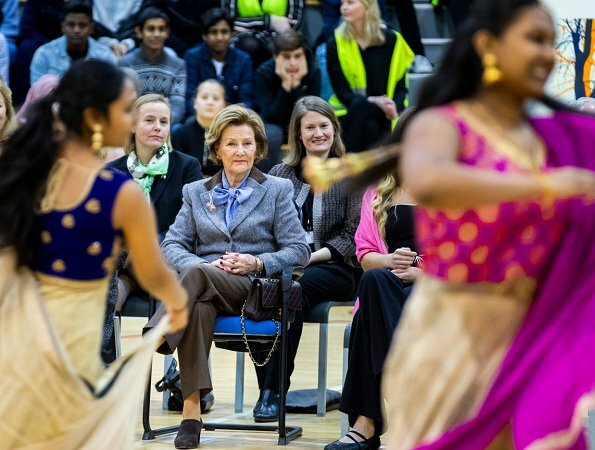 This year, 8 schools were nominated for Queen Sonja's school award. 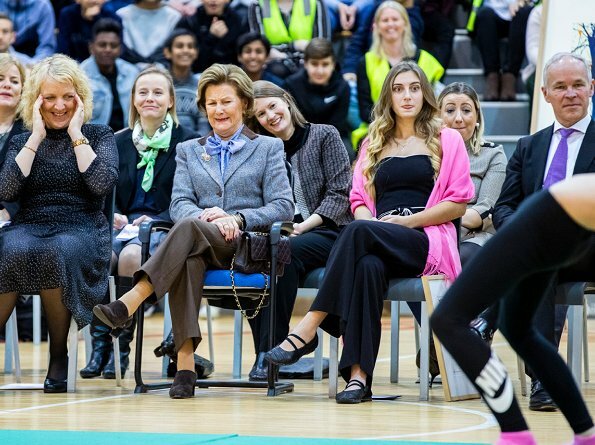 Apalløkka School was deemed worthy of the award by the jury because of the school's systematical and extensive activities for creating a safe and good school for everyone. Apalløkka is a youth school located in Grorud district of Oslo, where 392 students from different countries of the world receive education and 45 teachers work. Lovely woman with lots of personality. Also looking great for her age! 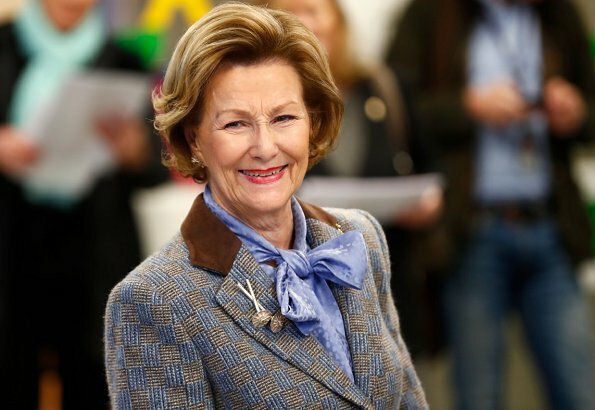 Amazing woman , you can hardly believe she is in her 80s .Beautifully elegant. She is very stylish lady. Happy to see her in trousers. She is beautiful and elegant. Nice! Jacket, top and trousers are perfect combined here. Good job!! As always lovely.She looks grand for 81 years old. beautiful and elegant as always. Finally, a classy outfit, age appropriate and well made and well fitted. Only thing: I would lose the shoes (they do not flatter her feet) and instead wear a 2 inch- block heel suede pump. Kade Spade makes a beautiful Italian block heel pump that is extremely comfortable.